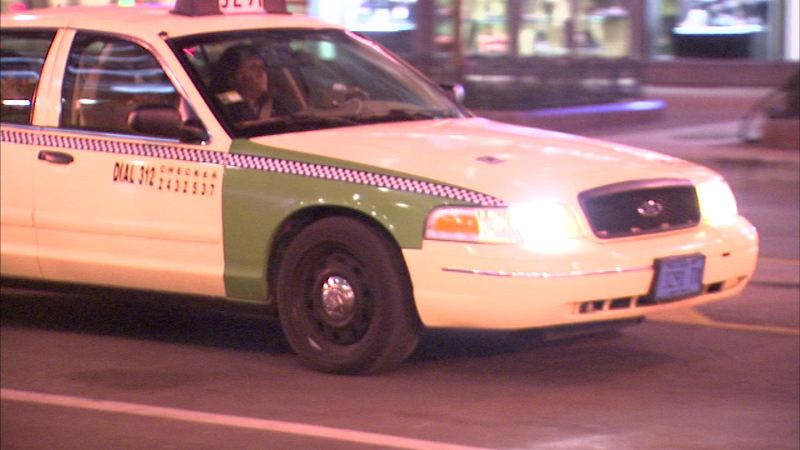 CHICAGO (WLS) -- Chicago cab drivers are threatening to strike on Thursday because they say they've had enough with ride-sharing services, like Uber and Lyft. The United Taxi Drivers claim ride-sharing services aren't regulated with fees and taxes like they are. They say the possibility that ride sharing services could soon pick up at the city's airports has put them over the edge. "I consider it like a wounded animal in intensive care. The mayor's proposal came as a surprise to us, and it's like the last straw that's going to kill that animal," said Fayez Khozindar, United Taxi Drivers Community Council. The CTA says the city is prepared in the event of a strike, reminding customers that train service from both Midway and O'Hare is quick and affordable, and that GoAirport Express shuttle bus services will be available to and from both airports. The CTA and Chicago Department of Aviation (CDA) will also have additional personnel on hand to assist customers at both airports. The commissioner of Chicago's Dept. of Business Affairs and Consumer Protection released a statement saying a work stoppage is irresponsible and further proves why Chicago residents and visitors deserve transportation options.